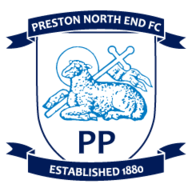 In-form Preston North End eased to their sixth win on the trot with a comfortable 3-1 success at high flying Brentford. Two goals from Neil Mellor either side of Iain Hume's 35-yard screamer were enough to consign the Bees to their second home defeat of the season. Mellor struck first inside 10 minutes when he out muscled Karleigh Osborne to roll home past the stranded Richard Lee. 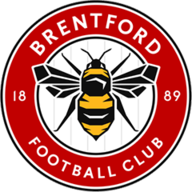 Brentford hit back midway through the first half when Myles Weston outstripped his marker to cross low from the right wing for the impressive Niall McGinn to rifle into the roof of the net. But Brentford fell behind again just after the half hour when Hume latched on to a Mellor flick to smash a screamer past the flat footed Lee into the roof of the net from 35 yards. After the break Mellor hit the upright and Paul Coutts flashed an effort just past the angle of post and bar before Mellor made it three in the 72nd minute. Bees keeper Lee was caught in no man's land and Mellor, unmarked in the box, lashed home a volley to ensure the points for Phil Brown's side.